Crank Brother's Sterling SG Pump is beautiful and functional, featuring a sleek alloy construction and collection of smart, user-friendly features. 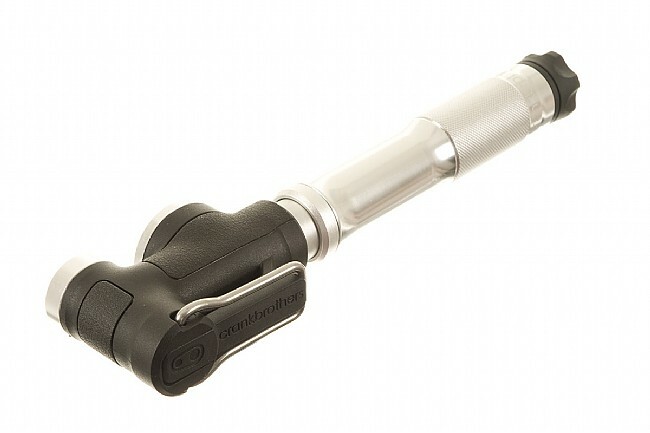 The 6061-T6 aluminum construction is durable and stylish, and the 198mm length provides pumping efficiency while remaining compact. 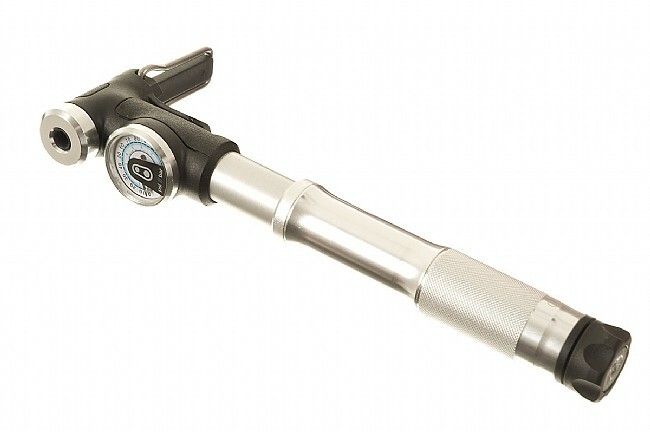 Crank Bros have added an oversized pressure gauge, and smart air switch feature which makes it possible to switch between high pressure and high volume modes, so the Sterling SG works great on your MTB or road bike.